What is an angel and when did they first exist? For Christians and most other religious cultures and traditions, angels have been known to exist since the beginning of time and creation. Many people have established the concept that angels are spiritual beings with their place in Heaven, whose primary purpose is to act as messengers and some as soldiers of God. Based on Biblical scriptures, God speaks in the language of light whereas humans speak in the language of sound, which is a supreme power that can prove damaging and destructive to man, and this is where angels come in. Angels are believed to play their roles similar to that of voltage step-down transformers that carry lower levels of energy which are tolerable to humans, especially with the language used by angels to communicate with man. This is mainly because God, in His perfect form and being, is too powerful for man to comprehend and man’s sinful nature does not allow him to come in contact with God who is blameless and sinless. There are at least 30 types of angles commonly known to man, especially from several traditional religions aside from Christianity. Many followers and those who are deep into the study of angels have classified angels into several categories, which according to them is based on an order of spiritual hierarchy, the most common of which are Archangels, Principalities, Seraphim, Powers, Dominions and Cherubims. The reasons for this classification, according to them, is that each one operates at different and varying frequencies and angels relay these messages to humans who best understand or comprehend these frequencies. Other followers also believe that angels also have different spiritual levels and according to them, these spiritual beings reside in Heaven. These theorists believe that like us humans on earth, there also exists different animal species that cohabit the earth with us and this theory of coexistence is how these advocates base their beliefs on. 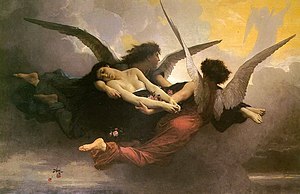 Another group of angel followers claim that no more than 30% of angels that exist have wings, as commonly depicted in many works of art and popular descriptions. According to a study group that conducted an intensive study of angels based on documentary and alleged historical data, led them to conclude that only 30% of angels have wings, while 70% of them do not have wings. The 30% of angels that have wings are of the lowest order of angels are believed to be the ones communicating with humans to give either warnings or deliver a message from Heaven. Meanwhile, some traditional philosophers and scholars believe that angels communicate to people regarding worldly matters, but do not necessarily make themselves visible to everyone on earth. They also believe that while angels have often provided guidance and have made their presence felt in many people, they basically do not function as guardian angels, as what is popularly known. Many spiritual researchers claim that since angels are subtle spiritual beings that take on the exist in spirit form, they are ideally not visible to the ordinary human eye. They in claim that angels can only be seen with the help of advanced and activated extrasensory perception or ESP and the manner by which angels communicate with humans is through the introduction of thoughts and concepts in the human mind. Although we have these ideas about what is an angel all about, it will still be considered just as a diverse school of thought will still remain to be a mystery.